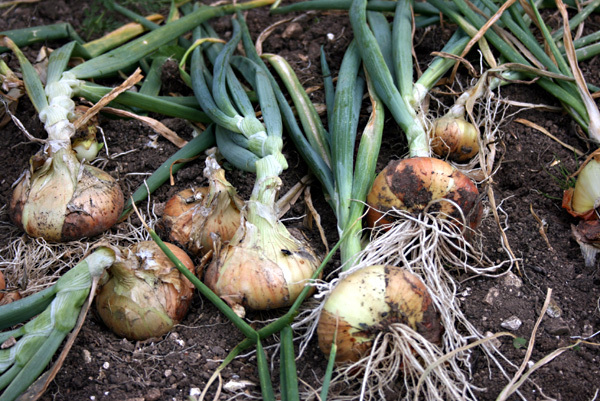 It’s early March which means its time for me to plant my onions, shallots and garlic. I have tried to grow my onions from seed but haven’t had much success. I tend to grow a few rows of white onions, usually Stuttgarter and a couple of rows of red onions, along with a row of French Shallots. I’ve been cooking with them through the winter and the TV chefs are right, the flavour is superb! The variety I’m growing this year is called Shallot Jermor. I’ll let you know how we get on with them later in the year. Unfortunately Suttons sent me Onion Sturon instead of Stuttgarter which I’ve never grown before so not sure how they will perform. Along with the onions I always have a go at growing a few garlic bulbs as the flavour seems so much more intense than shop bought ones. 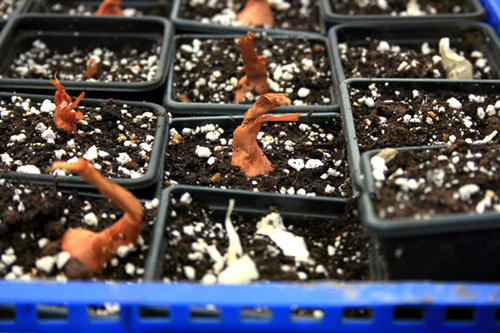 I start my sets and bulbs off in small pots mainly to stop the blooming birds from pulling them out of the ground, but also I find they produce a stronger root system which gets them off to a good start. The compost is my own mix of sieved compost from last years compost heap, mixed in equal parts with vermiculite and John Innes seed compost. No special treatment, I just press the sets in until they disappear below the surface and give them a light watering in and put them on the bench in the Polytunnel. They should start to grow away in about 10 days. And then towards the end of August (with a little help from mother nature of course) they should ready for harvesting. Well it’s March 4th and the sun has been shining which makes all the difference. I’ve been moving a few plants around today along with a couple of apple trees that need to make way for a new summer house were planning for the summer, but more on that later. 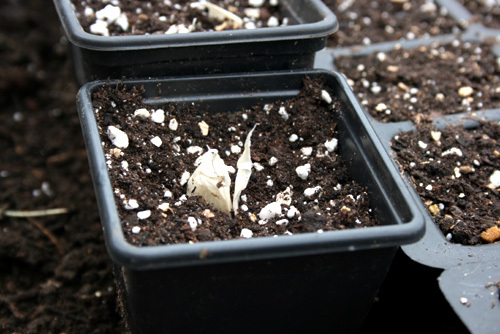 I’ve also been busily planting my vegetable seeds over the weekend. I’ve planted my beets 4 seeds to a pot using my home made seed compost mix. If you’d like to find out more about making your own seed compost we made a short video at the weekend explaining all. How to make your own seed compost video is here.